Udupi, Jan 13, 2017: Parvez Ahmed, the second accused in the case of cheating Primacy Industries Ltd of Mangaluru of Rs 1.08 crores has been arrested at Mumbai Airport by the airport officials. Meanwhile, search is underway for another accused Adil Sheikh. The arrested Parvez has been handed over to the custody of Panambur Police by the Mumbai airport police personnel. The cheating case was reported in August 2013. Adil Sheikh, a resident of Kadri in Mangaluru had quit his job at Primacy in 2009 to work in a Dubai based firm. Through the firm owner Parvez Ahmed, he had contacted Primacy and had struck a deal for supply of 125 metric tonne quality refined Paraffin Wax to the company. Primacy had even paid Rs 1,08,28,687 towards the same. But, when the consignment arrived at New Mangalore Port in January 2014, instead of Paraffin Wax, there was only white chalk powder. 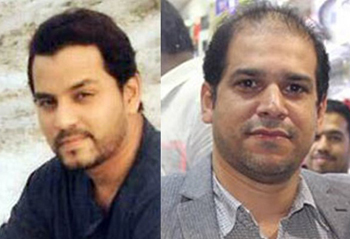 Both the accused who were absconding had initially secured anticipatory bail from the Mangaluru court and had later fled the nation in 2014 in violation of the bail conditions. Of the two Adil was arrested at the Mumbai airport in August last year when he had arrived from Dubai. However, he once again went absconding after he secured a bail. Meanwhile, the bail application of Parvez Ahmed who was recently arrested by the police will come up before the Mangaluru 2nd JMFC Court today. Big Duper which huge deal . Thanks to police department you are proving that you take up the case genuinely and arrest the accused wherever thay are ? When you dare to do such business also be prepared for the police to welcome you any time?